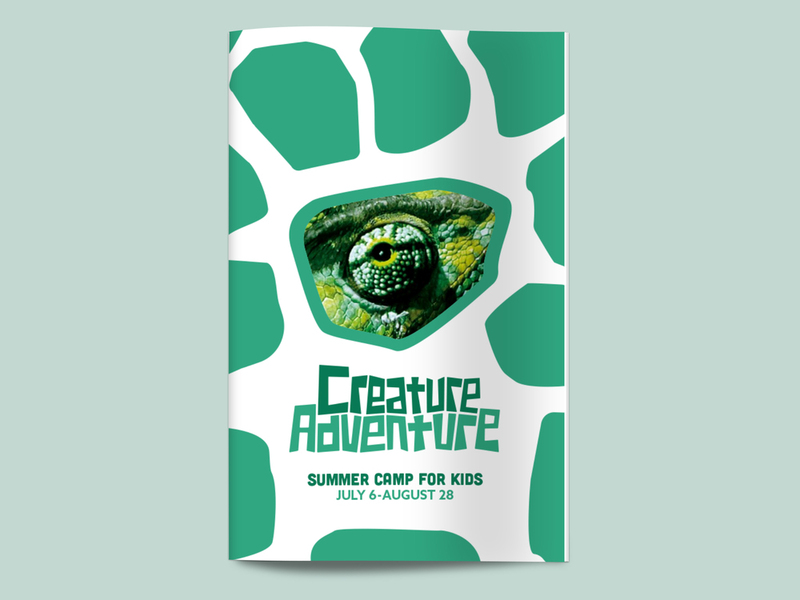 Creature Adventure is a daily summer camp sponsored by Drexel University in Philadelphia. 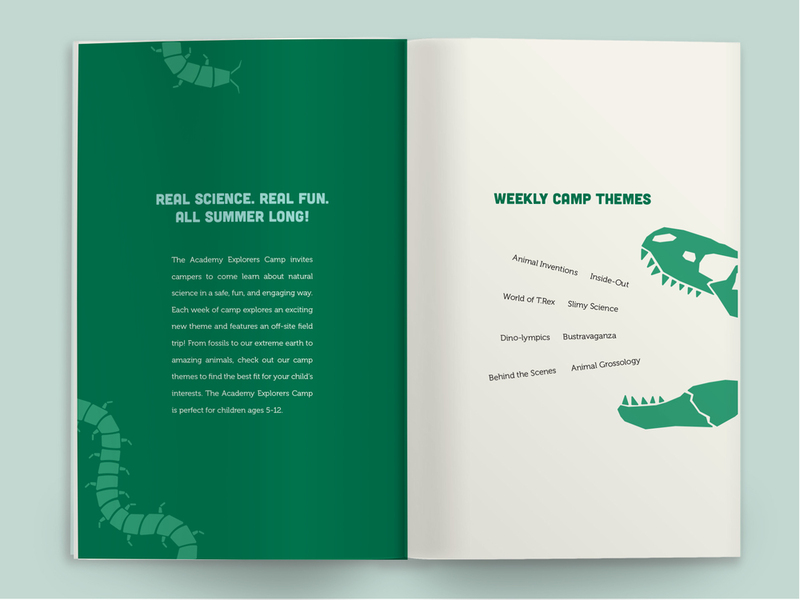 The camp offers weekly camp themes covering different areas of biology like amphibians, how organs and bones work, dinosaurs, and more. 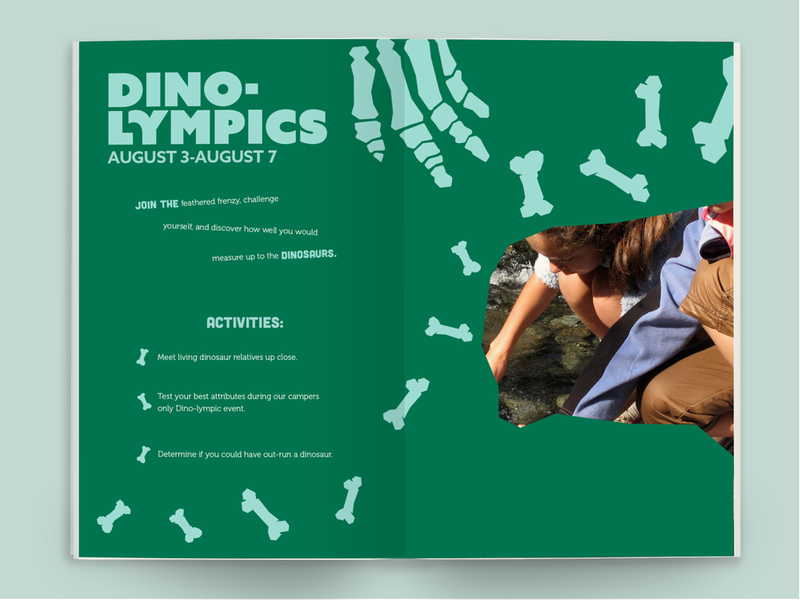 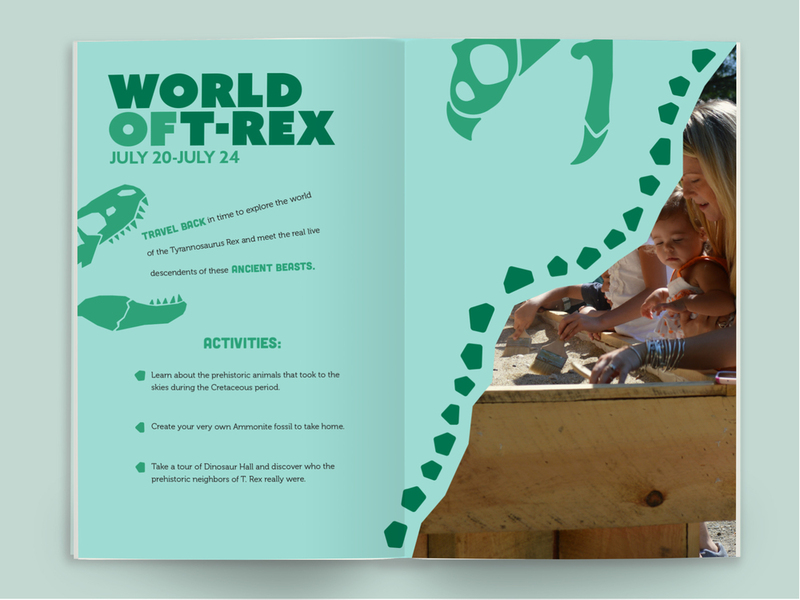 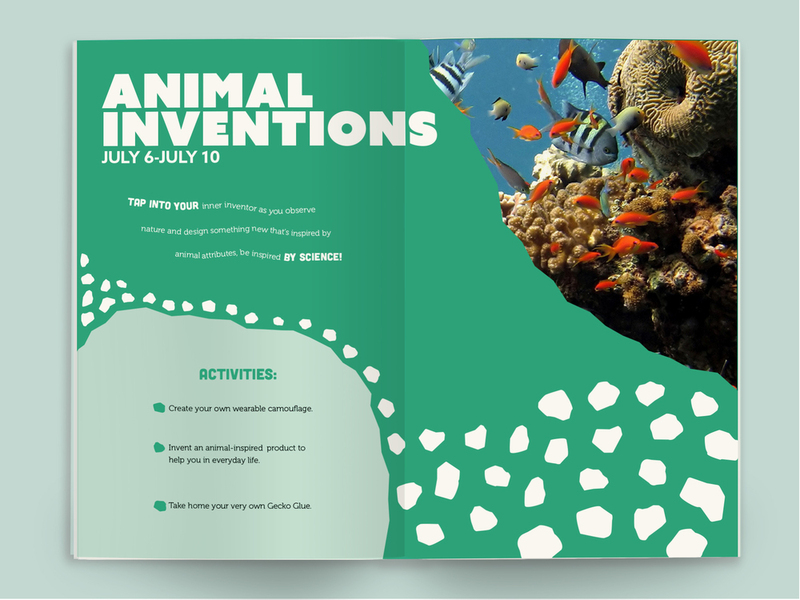 The assignment was to create a brochure advertising the camp to kids ages 5-12. 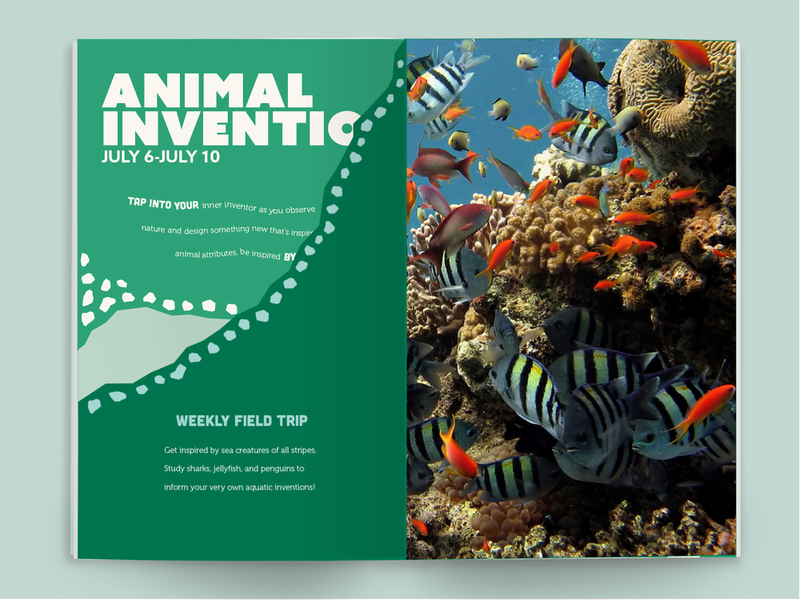 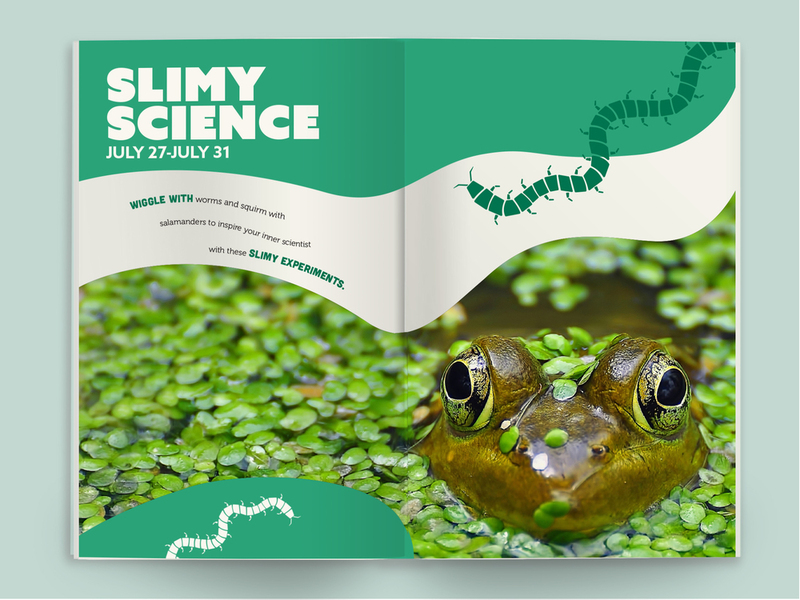 I used bright colors related to biology, like greens and blues, simple vector illustrations depicting what each camp theme is about, and di cuts that hide and reveal new information as you flip through the pages.